The art of the collaboration lies in creating this voice, whether a singular voice from several or a conversation to which we’re compelled to eavesdrop. Listen in. We hope, and suspect, our project will inspire new modes of collaborative creation. Carlos Fuentes argued that the most important literary occasions are those in which “genre” is recirculated. Writing survives—thrives, even—on recirculation and the reconception of genre. The collaborations collected here represent such a change, as important, in their own way, as concretism, found, sound or random poetry. Making the author plural, through joint composition, repositions the work, its voice and its experiential and emotion contexts. The more seamless these collaborations seem—and most do seem seamless—the more radical their gestures. Lyric, discursive, sometimes political these pieces manage their changes in compelling duets. According to the Greeks, the origin of the word anthology can literally be translated as “flowergathering”. They Said gathers the most original and complementary blossoms in the literary garden and creates rare and distinctive bouquets. From poetry to creative non-fiction and more, from voices both familiar and yet-to-be discovered by some, there are splendid petals here for every reader to pluck. 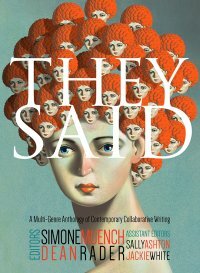 With They Said, we're presented with an anthology of contemporary work that beautifully illustrates the generative potential and dynamic energy of collaboration—a literary art too often overlooked. For any writer or poet, it's impossible not to be inspired by the possibilities suggested here. The best collaborative writing offers a view of an encounter. Is it collusion? That's a word on everyone's mind. When there are two (or more) writers in cahoots, what they accomplish together offers us a new definition of perspective. 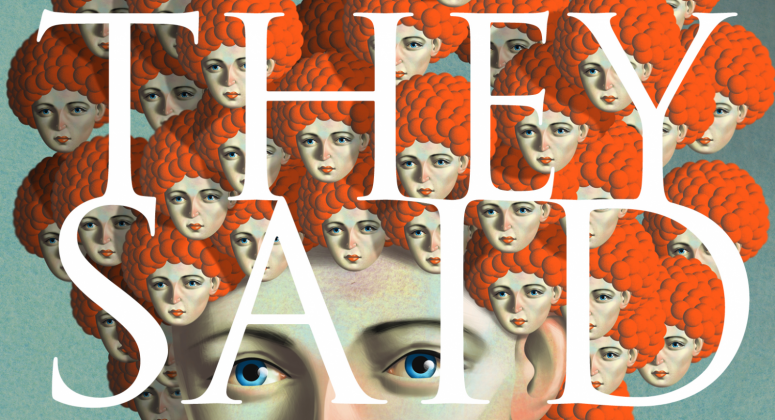 Again and again, the work of They Said blows me back—the resonance and wit of these minds intertwining makes for fantastic new writing. Over and over, in stereophonic sound. Love Black Lawrence Press titles? Become a subscriber and get great books delivered to your doorstep all year long!